St. Paul’s Anglican Church in the Ashrafiyeh neighbourhood of Jordan’s capital city Amman has long been a place of welcome to displaced people from the region. The church was founded by Palestinian refugees in the 1950s and in the decades since has welcomed new generations of refugees who have made their way to Ashrafiyeh, most recently from Syria and Iraq. On Wednesday 21st November 2018, St. Paul’s embarked on a new venture, hosting the first free clinic for people living in the neighbourhood. 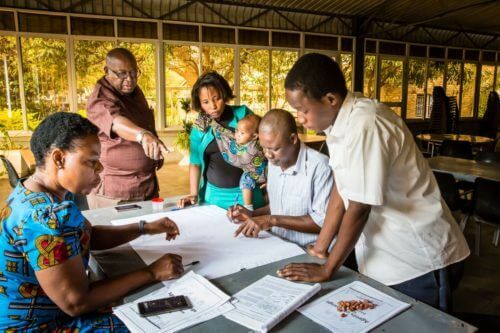 A doctor, two nurses, a pharmacist and a community engagement officer from Operation Mercy were available to people who would otherwise be unable to access healthcare. According to UNHCR statistics, there are 760,360 registered refugees in Jordan, over a third of whom reside in Amman Governorate. In addition, estimates for unregistered refugees range as high as a further 750,000. Since February 2018, registered refugees have had reduced access to subsidised healthcare. They now have to pay 80% of the standard ‘foreigner rate’, increasing the cost of healthcare by two to five times. As a result there is great need for medical care, especially amongst those refugees not registered with the UNHCR (which would make them eligible for healthcare provision). One man who attended the clinic was a young Iraqi working as a manual labourer who had injured his hand at work. As a refugee without a work permit he is vulnerable to exploitation and is paid only 7JD (approximately $10 US) for a 12-hour day – so was unable to pay for the X-ray he needed to determine the extent of his injuries. Operation Mercy offered to cover the cost of his referral. Fr. George al-Kopti, the parish priest, refuses to make any distinction between refugee and local, celebrating the value of each individual person. 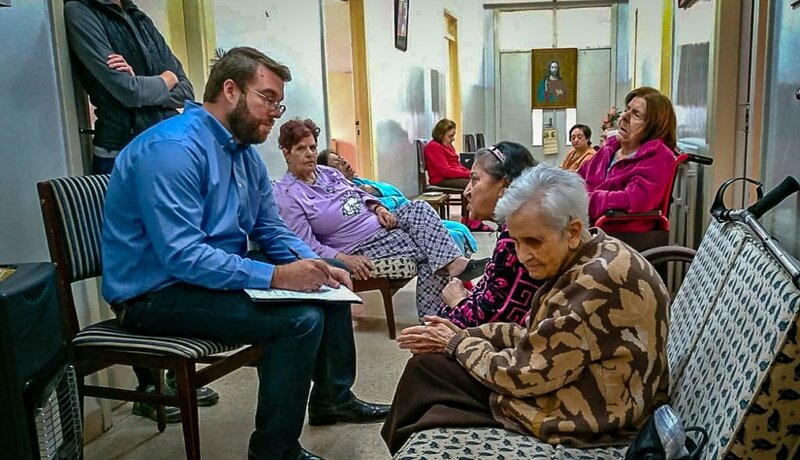 He is anxious to ensure that any ministry of the church is not considered a ‘refugee’ ministry but is open to all, meaning other members of the congregation and the residents of St. Paul’s home for the elderly were also able to be seen by Operation Mercy’s medical team. On this inaugural occasion a limit of 30 patients was set. However, Fr. George is keen to make the clinic a regular occurrence and spread news of it more widely in the neighbourhood. 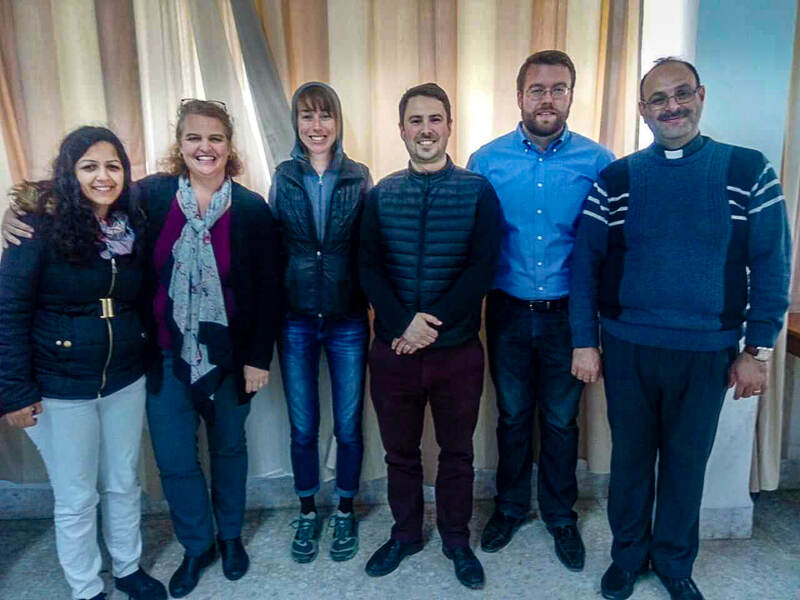 He sees the clinic as an opportunity for ecumenism, engaging with the other 10 churches in the neighbourhood, many of which also host refugee communities and represent the diversity of the Body of Christ. Dr. Liza Lawrence, the team’s doctor for the day, said that many of the complaints of shoulder and back pain she assessed appeared to her to be physical manifestations of stress and psychological trauma, brought on by displacement and the challenges of uncertainty and poverty people were living with. She would like to see patients linked up with organisations that provide psycho-social support, to help them talk about the traumas they face. After the clinic, the team gathered on the roof of the church to pray for the work of St. Paul’s, for Operation Mercy and for all who reside in Amman. St. Paul’s and Operation Mercy hope to continue, develop and strengthen this ministry, offering the clinic on a monthly basis.